Lead is a natural, soft, heavy metal with unique properties. It can be engraved, cut or bend quite easily. The long life span of lead makes it a perfect insulation product. When it gets into conduct with water it forms a thin layer of lead oxide that protects the rest of the lead from further oxidation. 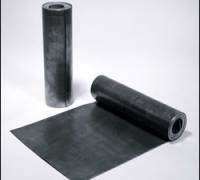 Its high density compared with other metals ( 11.34gr/cm3 ) makes it a versatile soundproof material, a radiation barrier as well as a material against vibrations. It weighs 11.34 kg/1mm/m2 and a melting point of 327 c. Lead basically can be extracted from outer layer of the earth. As far as building material from lead for the construction of buildings are concerned 95 % are made of recycled lead. Worldwide the consumption of lead is 5.7 million tons out of witch 3 tons is recycled lead. 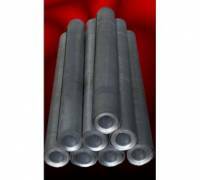 Lead is quite a useful metal and because of its properties it can be indispensable. Because lead is so soft is considered the best material to use for the roof. It doesn't only protect the roof but can be used as a decorative material for church domes, monuments, and museum as well as domestically. Because of its soft nature it blends naturally with the other materials used on the roof. Its application is also simple and easy and it gives the professional the option to come up with the most complex designs without the use of any complicated tools. It lacks great mechanical strength but that does not affect its life span and also no maintenance is required. Recommended thickness for the use on gutter is 2mm as long as the length does not exceed 1.5 m. Because of its high expansion (0.0000297 for 1 c) we need to leave a gap between the sheets so that expansion and contraction is possible due to the variable temperature changes. To connect two lead sheets we need to fold both edges together. We lay the sheets on the roof without attaching them to the roof so that expansion and conduction is favored. The use of excessive sizes can lead to cracks and failure because of the variable temperature changes. Lead can come to conduct with Copper, Iron and Aluminium without the hazard of corrosion. Nails and screws should have a similar life span to that of lead therefore using Copper, Brass or Stainless-steel. Never Galvanized or Aluminum fixing. The only exception is the conduct with Aluminum on vessels because of the sea water. On lime base cement powders with the existence of moisture lead can also corrode. Remember Lead sheet is a fine long life material but only when is used correctly. Stock of 1/1.5/2 mm in thickness on rolls of 5m long.